Public safety officials from across the DC Metro area joined us for an event to learn more about the current and future efforts surrounding the recently announced FirstNet Authority Roadmap. The goal of the planned Roadmap is to help advance and evolve the FirstNet network. We are highly focused on ensuring the Roadmap captures public safety’s most critical communications needs. Focusing on the evolution of public safety technologies, Bill Schrier, Senior Advisor, led a discussion to gather input from public safety stakeholders about apps, devices, solutions, and capabilities. I was also pleased to have my colleague Zach Smith supporting the event with expertise in the fire service. Amy Haukeness, Senior Public Safety Products Advisor, also gave an overview of the future of mission critical video and data capabilities. 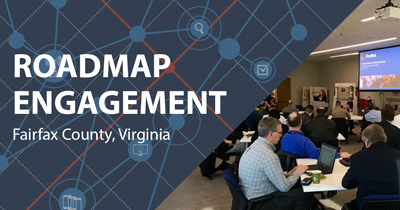 These interactive sessions provided audience members an opportunity to deliver direct feedback on their current and future critical communications needs to the FirstNet Authority. In describing mission critical communications, Haukeness explained that internationally agreed upon standards matter. Much like APCO is the standards body for P25 Land Mobile Radio systems, 3GPP is the standards body for wireless broadband. 3GPP is diligently working on the standards to define mission critical for wireless broadband including for video and data, among others. While discussing mission critical video, Haukeness encouraged attendees to think about the type of video they use today. “Some video is mission critical – vital to safely completing a mission in the moment – and some is needed after the fact,” said Haukeness. “Just because some video may not meet a mission critical need does not mean that it is not important.” Understanding the difference between which communications are ‘mission critical’ and which might not rise to that threshold but are still of value will be helpful as users decide which public safety broadband capabilities to incorporate into operations. As the FirstNet Authority continues to hold Roadmap Engagements to learn more about public safety’s operational needs, we will be incorporating this feedback into our planning process as we look to advance and invest to evolve the FirstNet network. The First Responder Network Authority would like to thank Fairfax County Fire and Rescue Department for hosting the event. If you are interested in participating in a FirstNet Authority engagement, you can find your Public Safety Advisor here.